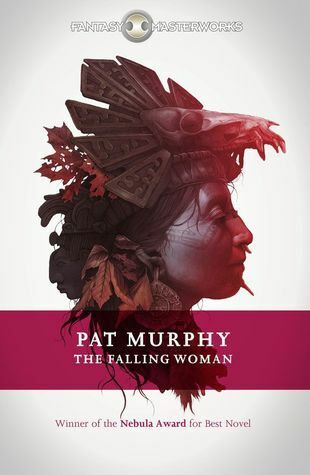 Advice: I very strongly recommend reading The Falling Woman without reading the blurb on the back cover (or the introduction), or even the summary on Goodreads/Amazon. They give more of the direction of the plot away than they should. Diane is Elizabeth's daughter, joining her mother on her archaeological dig after her father / Elizabeth's ex-husband dies. Diane hasn't seen her mother since childhood, and isn't sure what she has gone out to find. This is a rare novel: it is speculative fiction where most of the characters are women. Not just women, but realistic, credible women, complex, competent, sometimes confused or confusing, sometimes sweaty and smelly and itchy from insect bites, sometimes unkind and uncommunicative and flawed. There are male characters in the novel too, also convincing and authentic, but at its heart, the plot is driven by a triangle of female characters. The world-building is superb, and the cultural differences between Americans, local present day residents, urban and rural people, older and younger people, and the past native tribal characters, all these cultures are drawn superbly and convincingly and with a deft, subtle hand. This novel is set in a rich world, where each character, even if only appearing in a single scene, has a reality of his/her own, with a sense of a full life and their own concerns. Combine the rich world building with detailed, convincing and compelling characters, and set them in a plot that gradually gears up tension, and you are in for a literary treat. This novel won a Nebula Award - it deserves every award it could feasibly win. It's a masterpiece.